Three hot chocolate recipes – just add marshmallow! There are a ton of really good recipes if you want to make your own — and these are quick, easy Christmas gifts and stocking stuffers! Make it extra special with pretty jars and personalized labels. If you’re making gifts this year or just want a warm drink on a cold day, try out some of the recipes below. 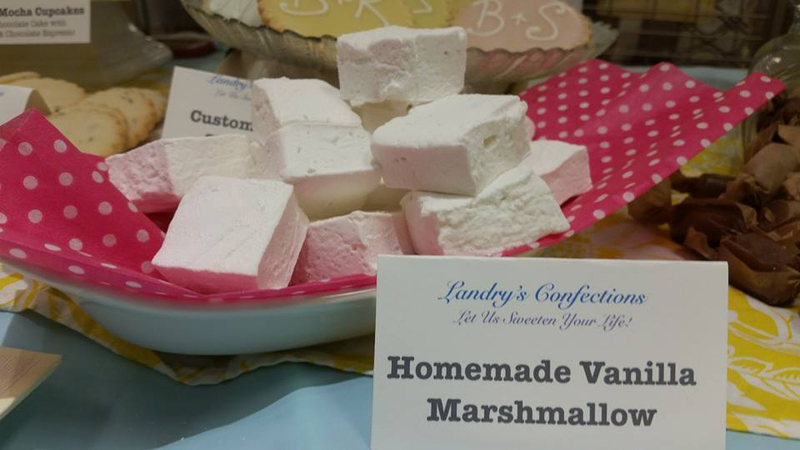 And to top it off, we’ve got hand-made marshmallows! Vanilla, Peppermint & Chocolate-covered. SO good! This recipe and tutorial on Smitten Kitchen is excellent and it tells you how to avoid lumpy hot chocolate. It’s got shaved chocolate, cocoa powder and vanilla bean so it’s super decadent — for a real chocolate lover! And this one — oh, this is amazing! Salted hot chocolate with Bailey’s… mmmmm. Okay, so this one isn’t a mix but you could mix the dry ingredients & include a mini bottle. Or, switch out the Bailey’s for whiskey, peppermint schnaaps, coffee brandy or your favorite indulgence. Let us know if you make any of these & call us about those marshmallows! We deliver….207-766-1098.